When it comes to looking for a new dentist or orthodontist, what can be better than the convenience of an all-in-one practice? 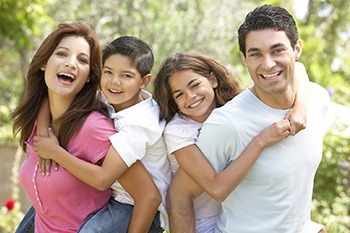 At California Dental Care & Orthodontics, we offer both orthodontic and dental care in Rancho Cucamonga. Our experienced doctors are committed to providing our patients with the highest level of quality service and the most advanced treatment options available. Cutting-Edge Dental & Orthodontic Treatments – We can help you with Veneers, Crowns, Root Canals, Teeth Whitening, Clear Braces, Invisalign, Self-Ligating Braces, Lingual Braces, and more. Experienced Professionals – California Dental Care & Orthodontics has helped over 500,000 people since 1994. Our doctors not only have experience but they also belong to the American Dental Association, American Association of Orthodontists, California Dental Association, American Lingual Orthodontists Association, and the American Academy of General Dentistry. Convenient Care – We offer convenient appointment times with same-day starts and emergency care. With our evening and Saturday hours, we guarantee you’ll never have to miss work or school for your dental or orthodontic appointment. Guaranteed Treatment – Our treatments are backed by our 100% satisfaction guarantee. If you’re not happy at any time during your treatment, we’ll do what it takes to make it right. This is part of our commitment to you! To schedule an appointment with our award-winning dentists or orthodontist, call 909.945.0024 or click here today. We invite you to get started by taking advantage of our New Patient Dental Special or our Orthodontics Consultation. Our specialists will perform a thorough exam and explain any recommended treatments, plus take the time to answer all your questions prior to beginning treatment. Your health and comfort are our main priorities! We also offer a Back-to-School Saver Special, plus several additional specials for specific dental needs, so contact us today to see how we can help you!